Looking for the latest info on the safety features of the 2019 INFINITI QX60? Then look no further, your preferred Oklahoma City car dealership has a short guide on all of the INFINITI QX60’s top safety features for your convenience. You can also stop by for a test drive and explore them all in person. Choose from the 2019 INFINITI QX60 PURE, QX60 LUXE, and QX60 LUXE AWD – now at Bob Moore INFINITI. We proudly serve drivers from Edmond, Oklahoma City, and the surrounding areas. Feel more confident behind the wheel knowing that your luxury SUV was designed with the latest safety features to aid you when you need them most. Best of all, the INFINITI QX60 comes with tons of standard safety features, so you won’t have to add to your budget just to feel safe. Come experience all of the standard safety and luxury features in the INFINITI QX60 at Bob Moore INFINITI, your preferred INFINITI dealer proudly serving drivers from Edmond, Oklahoma City, and the surrounding areas. Aside from all of its standard safety features, the 2019 INFINITI QX60 also comes equipped with the optional cutting-edge safety tech for even greater peace of mind. In fact, you’ll be pleased to know that the INFINITI QX60 offers more available safety features than luxury competitors like Audi Q7, Acura MDX, BMW X5, Lexus GX, and Volvo XC90. Features like its class-exclusive predictive forward collision warning, and World’s First Technology like lane departure prevention, lane departure warning, blind spot intervention and so much more. Plus, you can also upgrade your INFINITI QX60 with the Limited Package for unparalleled luxury and safety features. This package comes with Motion Activated Liftgate Hands-Free Entry, available Intelligent All-Wheel Drive, Around View Monitor with Moving Object Detection, Forward Emergency Braking with Pedestrian Detection, Blind Spot Warning, and Blind Spot Intervention. Want a closer look? Take a test drive today. Our luxury INFINITI dealer has all of the INFINITI QX60 models available in all the trims and options you may want for your convenience. Whether you’re looking for your next 2019 INFINITI QX60 or any other new INFINITI sedan, crossover or SUV, schedule your test drive at Bob Moore INFINITI. We also carry a premium selection of Certified Pre-owned INFINITIs and quality pre-owned luxury SUVs and more. 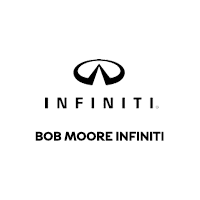 Stop by Bob Moore INFINITI in Oklahoma City today and discover a shopping experience like no other. Our luxury INFINITI dealer is proud to serve drivers from Edmond, Oklahoma City, and the surrounding areas.